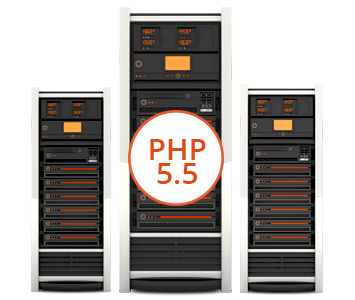 PHP 5.5 is the version of PHP 5 that was released in June 2013. PHP 5.5 would be receiving support till June 2016. PHP 5.5 offers more upgrades that were added after PHP such as support for generators and OpCache. It was launch of PHP 5 way back in 2004 that PHP was appreciated as a true programming language. PHP 5 brought in the most striking change to the language by supporting Object Oriented Programming (OOP). It established a way to conceptualize and write a program. PHP 5 made number of improvements that transformed the way to write PHP programs in addition to an all out support to Object Orientation. Dialwebhosting is your ideal hosting partner that guarantees a development friendly environment. You can experience blazing fast page loading speeds, 99.95 per cent network connectivity, impregnable security, and dedicated support of technical experts with us. We have earned enviable trust of our clients and are backed by proven track record of providing flawless hosting services for more than a decade. Why select PHP 5.5 software? Why Businesses Should Consider Dialwebhosting for PHP 5.5 Hosting? Dialwebhosting is your dependable host for PHP 5.5 hosting. We provide state of the art hosting setup of LAMP stack that consists of Linux OS, Apache server software, MySQL database, and PHP programming language. Our avant-garde infrastructure ensures faster page loading for gratifying browsing experience and higher bandwidth along with superior network connectivity for unmatched availability. We understand your unique hosting requirements and ensure that your requirements are met accordingly. Our granular security controls are designed to offer seamless protection to your vital data and applications. We have in place six zone security systems to ensure unmatched security of network and physical assets. Dialwebhosting offers state of the art Tier III data center infrastructure that is designed for redundancy and impregnable security. We stringently adhere to SLAs and guarantee 99.95 per cent network connectivity. We empower your websites with premium and low latency bandwidth that is reliable and persistent. The high bandwidth helps you operate and manage your business from any location. Our dedicated technical experts are available round the clock for solving any technical glitches in relation to your web applications. You can access these experts anytime through multiple modes of communications. You can bank on our seamless hosting environment to accomplish your business critical web projects. Contact our experts now without any further delay.